Extend your perfect blow out for a few more days with the powder of dry shampoo. Dry shampoos have recently become must-have products that every woman needs to keep in her life! I don't wash my hair every single morning or night, so applying dry shampoo has saved me TONS of extra time getting ready to start the day with refreshed hair. I have all of these dry shampoos listed below sitting in my bathroom right now. I wanted to share my opinions in a detailed blog post with you today! I hope this helps you narrow down your choices! After receiving an amazing haircut from a stylist at my local Aveda Hair Salon, my hair stylist recommended that I try out the Aveda line of dry shampoo. We were chatting about my scalp and how I can usually get through a few days of nice hair until my scalp begins to feel oily. My hair, just like my face, seems to be a combination of dry and oily. The Aveda Shampure Dry Shampoo was the perfect accomplice in my attempt to defeat an overly oily scalp once and for all. I will wash my hair at night and blow dry it straight. On the third day after washing my hair, I will apply a few pumps of this dry shampoo to the top of my head. The powdery formula needs to be played with until it totally disappears into your hair. I will take my Wetbrush and gently stroke the product into my scalp for a few minutes until the powder disappears completely. I can wear my hair down once this product settles into my scalp for two more days! 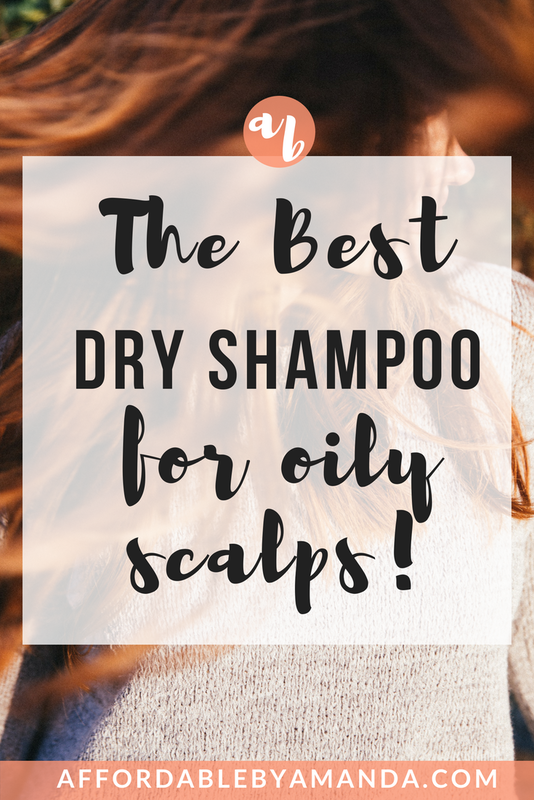 It's a great product if you are in need of finding a solution to your oily scalp, or if you are looking for a product to extend the life of your blow out. While I do love the Aveda Shampure Dry Shampoo, I also need to let you know about a much less expensive alternative option in the dry shampoo market. The L'Oreal Paris Hair Expert Extraordinary Clay Dry Shampoo makes my list for one of the best drugstore dry shampoos out there. This clay dry shampoo has three unique ingredients to instantly refresh your hair. Three clays are included inside one bottle of this product to absorb oil at the root. Another perk to this dry shampoo is how it doesn't leave behind any obvious signs of white powdery residue. You can easily find this product at CVS or online at Amazon for UNDER $6.00. Don't waste your time washing your hair when you need to be out the door in five minutes. Use the Not Your Mother's Clean Freak Refreshing Dry Shampoo ($9.00 on Amazon) to draw out the excess oils found at your scalp. What I love about this dry shampoo, besides the price and the fact that you receive 14 ounces of product for under $10, is the clean scent it offers. Between washes, you should apply this powder-free dry shampoo to your hair and style it the way you want to because it definitely adds some texture to your entire look. A color-safe option for you to choose as your next dry shampoo is from the brand Ouai. This dry shampoo works to neutralize buildup and excess oils. When I first started to dye my hair a little darker, I began a search for color-safe products. It's easy to look at a product and see if it indicates whether or not it's completely "color-safe" because it can be found on the bottle. The formula of the https://rstyle.me/~aAFXCOuai Dry Shampoo reminds me of the Not Your Mother's dry shampoo because it only takes seconds before your hair is ready. You also don't need to press down too hard on the can to see the best results in seconds! Your hair is also left smelling refreshing with notes of bergamot, Italian lemon, and magnolia. One final dry shampoo I have to mention in this post is the Living Proof Perfect Hair Day Dry Shampoo. You can pick a bottle of this dry shampoo up from Ulta for $23.00. I have used the Living Proof Shampoo and Conditioner in the past and they have both made huge differences in the quality of my hair texture and feel! Thier dry shampoo is no exception. The Living Proof Perfect Hair Day Dry Shampoo offers a combination of triple-action cleaning technology and a patented Healthy Hair Molecule (OFPMA). Unlike other popular formulas, the Living Proof Dry Shampoo actually CLEANS your hair once applied to your scalp. It also has odor neutralizing technology, so even after a sweaty session at the gym, your hair will smell as if you just walked out of your shower. Simply shake the product for a few seconds and hold the canister 6-10" from your face until you sweep the product across your head. Another great perk to this dry shampoo is how it adds significant volume to my thin hair. When I need to fluff up my hair for a night out, I usually grab my can of Living Proof before I further style my hair into a section to curl. I highly recommend checking out this dry shampoo if you are looking for a high-quality option for Under $25, too. The Living Proof one is my go-to! It's the only dry shampoo that works for me, but I haven't tried all the ones on this list, so maybe that will change! I love the Living Proof dry shampoo so much, too! Thank you for reading the post, Kate!